A Healthy Smile Dentistry in Florham Park is your go-to spot for all of your dental needs. From preventive and restorative dentistry to cosmetic dentistry, we offer a bit of everything so that our patients can receive all of the care they need under one roof. Oral surgery is another service that we offer to our patients that is typically not found in every dental office. Discover our different oral surgery options to find out if we offer what you’re looking for. One of our top requested oral surgery treatments are extractions. Extractions can be needed for a variety of reasons. You might have an unhealthy tooth or perhaps one of your teeth needs to be extracted to make room for other teeth. Whatever the reason is that you need an extraction, we can take care of it in our dental office. We do everything in our power to ensure that your extraction is a comfortable experience for you. We can use sedation dentistry to help you feel more comfortable for the procedure. If you need an extraction, we will also go over all of our different restorative dentistry options with you so that we can replace your tooth if needed. Another type of oral surgery we take care of in Florham Park is wisdom tooth extractions. Wisdom teeth are your extra set of molars that grow in the back of your mouth. Most patients have them removed because they are impacted, meaning they are trapped in your jawbone or gums. This can be quit painful. They might also be coming in at the wrong angle which can press against your teeth. Another common reason is that your mouth is not big enough for the extra set of molars. The last reason that you may need your wisdom teeth extracted is because you have cavities or gum disease. Most patients receive their wisdom teeth between ages 17 and 25. They will appear in x-rays and may also begin to cause pain. Our dentist can take care of your wisdom tooth extractions at our Florham Park dental office pain-free. Give us a call to learn more. 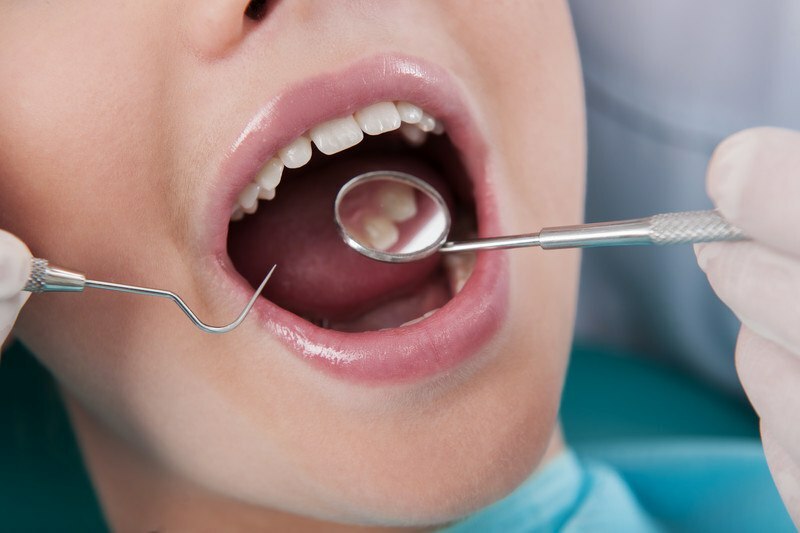 Another type of oral surgery we perform at our dental office in Florham Park is a frenectomy. This is the removal of the frenulum which is a small fold of tissue that can prevent your teeth from growing into their desired positon. This procedure is most commonly done during adolescence to help prevent the need for orthodontics in the future. If you have a gap in your teeth and notice that your gums hang a bit lower in-between your teeth in that area, this is what will be removed with a frenectomy. The procedure is fast and painless. Although they are considered a restorative dentistry treatment, dental implants are also an oral surgery. The dental implants themselves must be surgically inserted into your jaw. This procedure includes taking x-rays to find the perfect placement of the titanium screws. Our dentist uses precise measurements to ensure your implants are placed without a high risk of failing. Once the implant is placed, your gums will need to heal before we can place the final restoration. The last type of oral surgery we offer our patients are root canals. Root canals are necessary to save a tooth that has infected pulp. We complete the procedure by removing the infected pulp in the canal, cleaning and reshaping the canal, and sealing it with a filling and dental crown. This procedure is quite common and may be your ticket for preventing the need for an extraction. Root canals become necessary after a cavity has gone too far. Without it, you may either lose your tooth, or the infection can spread to the rest of your body. Make an appointment with our dentist to find out if a root canal is right for you. If you are in need of any type of oral surgery, please give our dental office a call at 973-377-2222 to make an appointment. If there is an oral surgery you need that isn’t listed here, give us a call anyways. We might be able to give you the treatment or point you in the direction of someone who can. Feel free to also fill out our online contact form to ask us any questions. Visit our oral surgeon in Florham Park for your next oral surgery. Excellent and professional service..Great people..